Los Angeles, USA – March 2017… Live band performances are an integral part of many flagship late night entertainment TV shows in the United States, and Last Call with Carson Daly – the long-running weeknights show on NBC – is no exception. But rather than simply having bands appear in the studio, Last Call gives its viewers the opportunity to experience live music as it should be heard – music mixer Fred Archambault heads out to gigs to capture the raw excitement of bands’ regular performances. 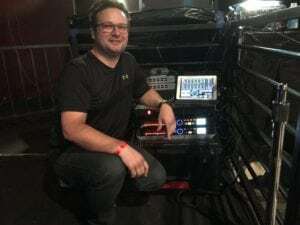 Since last autumn Archambault has used two of the 24-channel standalone live audio acquisition solutions to capture performances by “well over 30 artists” – ranging from fast-rising English rock bands to former Hüsker Dü mainman Bob Mould and global sensation Ed Sheeran. 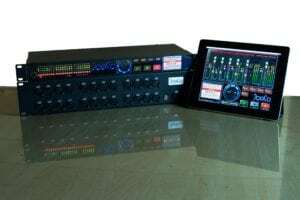 Despite the demanding schedule and heavy workload, the BBR1-MP multi-track recorders – equipped with JoeCo’s renowned preamps on every channel – have performed superbly.